Clairvoyants seem to be everywhere these days. Constance’s mother has found comfort in contacting her late father in a séance. But are such powers real? And could Constance really be possessed of second sight? She longs for the wise counsel of her mentor and champion of the poor, Emily Tindall, but the kind missionary has gone missing. Following the latest grisly discovery, Constance is contacted by a high-born lady of means who fears the victim may be her missing sister. 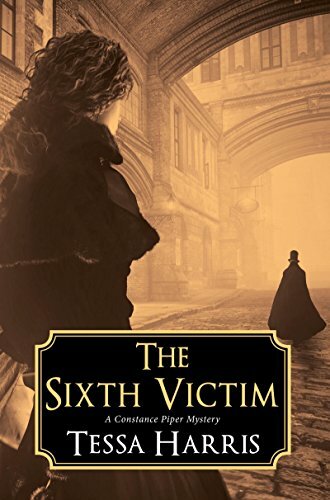 She implores Constance to use her clairvoyance to help solve the crime, which the press is calling “the Whitechapel Mystery,” attributing the murder to the Ripper.